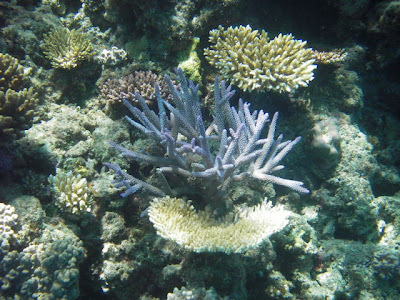 Foreign Waters: Great Barrier Reef… Amazing. We have just got back from a 4 day live-aboard, learn to dive experience, in one of the most amazing places in the world… the Great Barrier Reef. Both of us are now are qualified specialist divers. Let us take you through our last seven days of our hard life… LOL. We started our basic dive training in a pool learning how to snorkel and use diving equipment… we were shocked to discover that we would be given homework and have our written exam the following afternoon… Yikes no partying for us tonight..
Not quite as hard a a classroom. We pass our written exam with flying colors.. The adventure begins. We are shipped out to the Barrier reef and transferred to the Kangaroo explorer, a huge 3 storey catamaran / hotel / dive platform. Within the first hour we were kitted up in diving gear and off on our first training dive, and our first look at the Barrier Reef. 12m down was a whole different world, but we didn’t get chance to look too much, as we had training to do, practicing our skills that we had learned in the pool. With a short Surface break on board our boat we were back in the water training again. This time our training area was already occupied, by a blue spotted lagoon ray, basking himself in the sandy bottom. On our ascent to the surface we were graced with the presence of a beautiful Green turtle, they are so cute!! 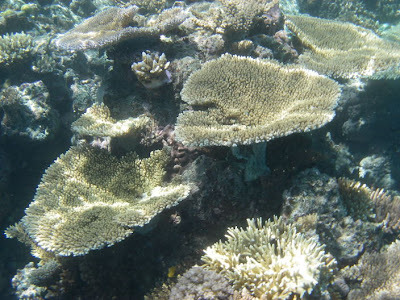 Believe it or not, theres lots of coral on the Great Barrier reef! The big test for our open water certification. We were woken at the ridiculous ungodly hour of 5.30am! By 6am we are in the water watching the sunrise above us. We descended to the depth of 18m where to our horror two White tip reef sharks were poised watching. We began to go through the final stages of our test all the while being filmed by Ronaldo the on board camera man. 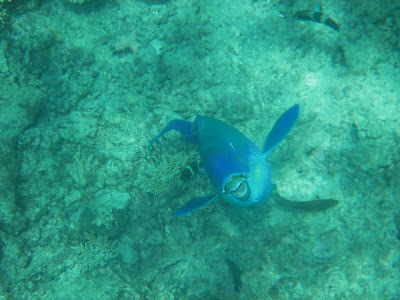 We got to feed this fish, which made Cheryl giggle incessantly while being engulfed in a feeding frenzy of fish. We also had little message boards.. sorry folks but you will have to wait to see our video to see what ours said.. (Sandra its in the post to you). Unfortunately due to some air gulpers our dive test was cut short and we returned to surface. By 8am we were back in the water donning Christmas hats. Ronaldo filmed the whole dive again. Thankfully this time we completed all the required training and we surfaced as fully qualified open water divers… YEAH!! Our next dive was our first unguided dive. Just us, the fish and whatever else lurks in the depths. We did a fantastic job of navigating the reef seeing another shark and a trumpet fish. However our training wasn’t over, we where going to be qualified as specialist divers. Our first special dive was a night dive…all I can say is its pretty weird and eerie down there at night, the only light being your torch, and whatever moonlight makes it down there. 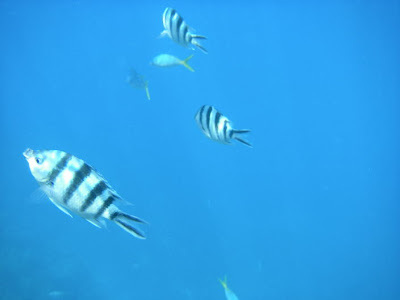 The fish tend to follow you more because they are interested in the light. 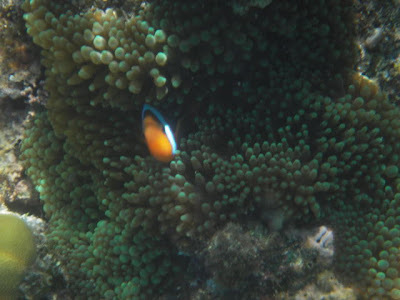 Theres also a lot of fish on the Great Barrier reef! Another 5.30 wake up call and another training dive. We were diving to 30m. It is pretty barren down there at the 30m, most of the life is at 20m and above. We were just on a sandy bottom we had to sit there for 10 mins and answer questions to see if we were affected by nitrogen levels. 11 am and back in the water for more training, this time navigational skills. We were given five exercises to complete using a compass, and time or kick counting methods. 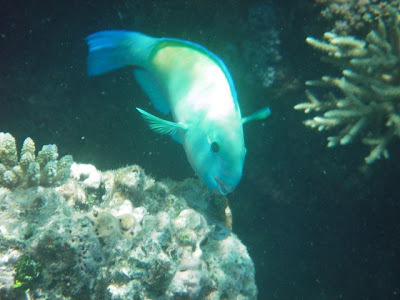 I have to mention we did see the dangerous box fish, a fish that has nasty spikes and another shark. 4pm at last we get to have another fun dive. We descended to 12m and had probably one of our best dives so far. We explored an area called the fish bowl a weird shaped reef with a part called the wall which you can swim through into the fishbowl. 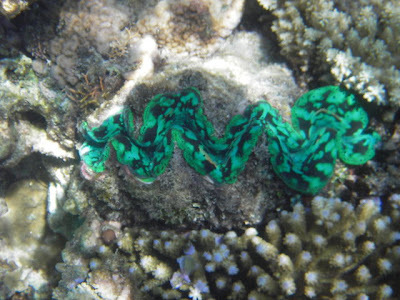 Our best finds were a giant clam, a skool of trumpet fish and an upside down jelly fish. At 7pm we are thrown back into the water for our first unguided night dive, with the specific instructions not to follow any other divers. Totally scary and gives you the weird feeling you’re in a bottomless abyss. We dived a little conservatively, but didn’t get lost and did see a shrimp…they have red eyes at night you know!! Our last day, but we still had a few more specialist dives to go. 5.30 am, you guessed it we were woken again. This time we were to do a multi-level dive with a max depth of 30m. We were to do it solo and time our stay at each depth. We began 30m for 10mins, 20m for 8 mins 12 m for 5 min and 3m for 3 min. Doesn’t sound hard does it… well trying to enjoy the scenery, watch your air, depth and time all at the same time can be quite challenging. We did fine but this was the one dive we came pretty close to being below the required surface level of air. Next was a fun dive, I think this was my favorite dive. We were diving in the fish bowl again, at around 18m, and we saw a huge amount of the reef, including another shark, a nudiebranch (a very dangerous wormy type thing) a snot bubble (a sleeping bag used by parrot fish), Nemo and his family and lots of jellyfish. And so we come to the mention of jelly fish. The worlds most venomous animal is a jellyfish the iracangie and the barrier reef is home to these, as well as box jellyfish and bluebottles, during the summer months. 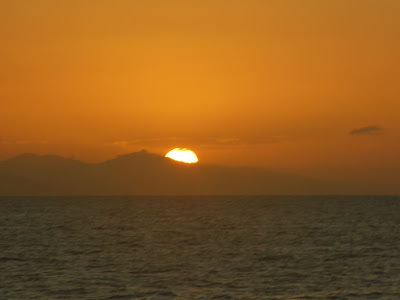 We were warned in the morning about the presence of jellyfish and to spend as little time on the surface as possible. Our final dive and someone forgot to mention to Paul (our instructor) about the jellyfish.. He had us swim out to our descent point. Unfortunately for Cheryl, she became a jellyfish target and was stung a few times before we hurriedly descended below the surface for our final training (and one of the most fun) dives. We each had to tie three knots, rescue a weight belt using an list bag, search for an ‘o’ ring in a 10 metre square area, then as a team, find and retrieve the weight belt back to the boat, using the lift bag. We succeeded even though our instructor run out of air and had to leave us (he forgot we were diving on large tanks). Both of us are now fully qualified specialist divers.. Yippee. Before we leave.. We have to mention the live-aboard boat. The accommodation was fantastic, as good as any hotel, the food was plentiful and really good. The instructors, Todd and Paul for us were really good. 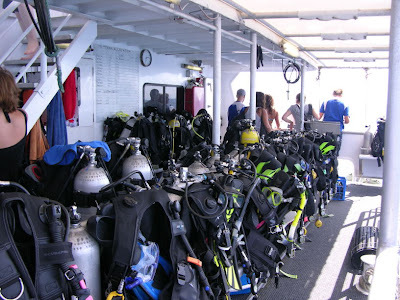 The crew themselves had our gear ready to go foe every dive. 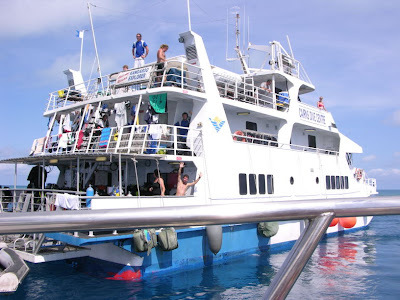 The boat itself was spacious, although many times the sun deck was full capacity with everyone enjoying the beautiful weather… both of us have really good tans…factor 30 SPF is a must out there even on cloudy days which we didn’t have!! 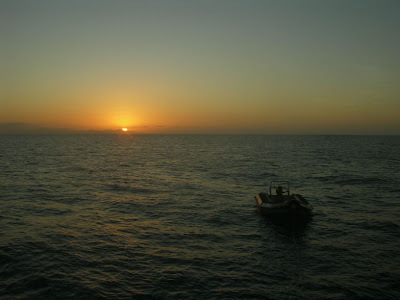 Each day we moved to a new location, so that we always dived at least in two locations each day. It’s a shame we aren’t around for a longer period as the company offer a free 7 day, or 2/3 month live-aboard, where you work in exchange for free accommodation, food and dives.. how good would that be! It’s a shame we didn’t hear about that before we arrived. Although I can see us coming back to do it.. So a free plug to the company who made the experience one of the best Cairns Dive Centre. We have enjoyed diving so much we are now planning to do some in New Zealand (our instructor lives there) and South America. Cheryl even said she prefers it to kayaking…but that’s because she got to see Nemo and Turtles! !